Riverside and Orange County in July 2019. Foundation coaches, handpicked by the Academy Director of Real Madrid C.F. Llorente and Lucas Vázquez while enjoying the beautiful game. Now is the perfect time to discover what it means to play and become part of the best club in the world. Partnering with Euro Soccer Trips, the Real Madrid Foundation will be offering the unique and exciting opportunity to learn the playing philosophy, training methodology and values of Real Madrid C.F. through camps in Los Angeles, Riverside and Orange County in July 2019. The Camp Experience includes five days of training with Real Madrid Foundation coaches, handpicked by the Academy Director of Real Madrid C.F. This is an extraordinary chance for players 7 to 15 years old to receive the same world-class training as Real Madrid Academy products such as the legendary Raul as well as current First Team players such Dani Carvajal, Nacho, Marcos Llorente and Lucas Vázquez while enjoying the beautiful game. The Camp focuses on advanced individual training in technique and tactics, problem solving and decision making on the pitch as well as experiencing the values that are associated with Real Madrid such as leadership, teamwork, respect for others, solidarity and effort. Campers will be trained by official coaches from the Real Madrid Foundation. Each coach has been selected by the Academy Director of Real Madrid C.F. and has extensive technical and practical knowledge of the Real Madrid training methodology and playing philosophy. Real Madrid Foundation coaches, along with the Euro Soccer team, will identify players from each of the camps and give them the opportunity to train and play for 5 days at Real Madrid’s state-of-the-art Campus in Madrid, Spain. © 2019 Real Madrid Foundation Camps - Los Angeles. All Rights Reserved. Would you like to buy an additional official Real Madrid Camps Uniform Kit? Would you like to add a Personalized Player Evaluation? By submitting this form, you confirm that you have read, understood and accepted our Participant Agreement. 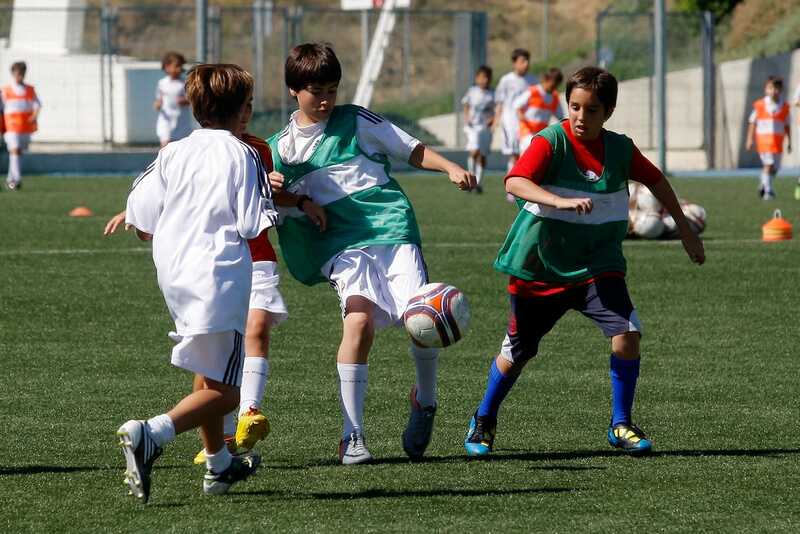 How did you hear about Real Madrid Foundation Coaching Clinics?